For approximately six million years, humans havewalkedthe earth. This is the story of how, why, and to what effect we put one foot in front of the other.Walking has been the primary mode of locomotion for humans until very recent times when we began to sit and ride-first on horses and in carriages, then trains and bicycles, and finally cars, trucks, buses, and airplanes-rather than go on foot. 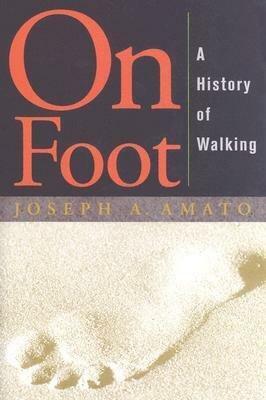 The particular way we saunter, clomp, meander, shuffle, plod along, jaunt, tramp, and wander on foot conveys a wealth of information about our identity, condition, and destination.In this fast-stepping social history, Joseph A. Amato takes us on a journey of walking-from the first human migrations to marching Roman legions and ancient Greeks who considered man a "featherless biped"; from trekking medieval pilgrims to strolling courtiers; from urban pavement pounders to ambling window shoppers to suburban mall walkers.Concentrating on walking in Europe and North America and with particular focus on how walking differed according to social class, Amato distinguishes how, where, when, who, what, and under which conditions people moved on foot. He identifies crucial transformations in the history of walking, including the adoption of the horse by the mounted warrior; the rise of public display among European nobility; and the building of roads and transportation systems, which led to the inevitable ascent of the wheel over the foot.